Rod-Runner Tip #1: Quick Fishing Rod Access! Did you know there’s more than one way to load fishing rods in your Rod-Runner? 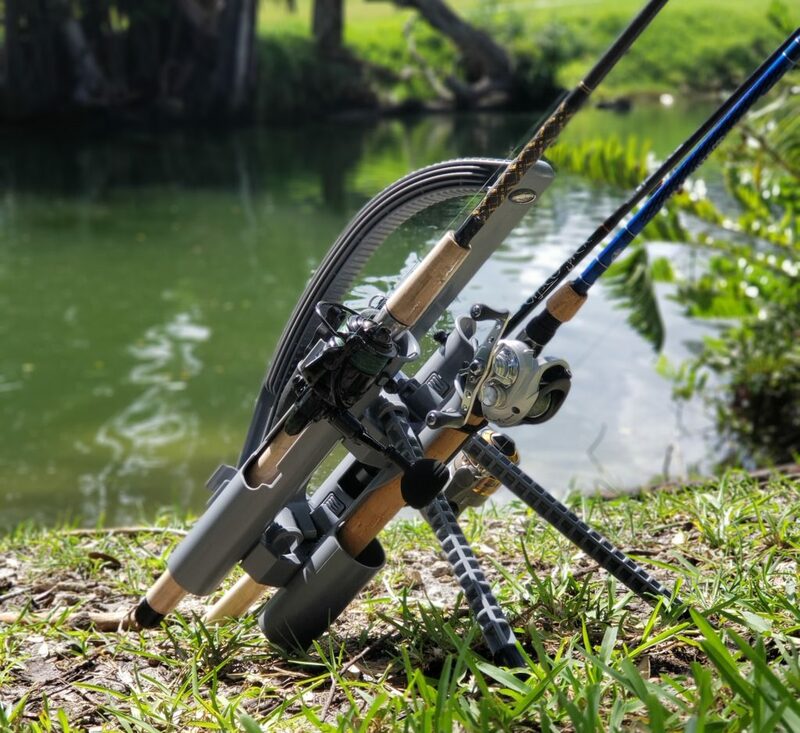 At first, most Rod-Runner users will load their fishing poles fully into the rod holders, and then securely lock them in place using our ball bungee cords. This method offers the most protection for your rods & reels; it is how we always recommend you transport your fishing gear in moving vehicles. However, land-based anglers know that speed and fishing rod access can be critical when you spot a nice fish or school of fish. Messing with bungees can be the difference between making that perfect cast or watching a potential catch swim away. That’s why we decided to make this our first Rod-Runner tip because it’s very useful, doesn’t require any additional parts, and is incredibly easy to do! The trick is simply to lock the ball bungee cords before you load your rods into the Rod-Runner rod holders. That’s it! When you do this, your fishing rods will sit with the reels sitting above the locked bungee cords instead of below. This will allow easy fishing rod access so you can quickly load and unload fishing rods from your Rod-Runner. As an added bonus, this technique, of loading your fishing rods after locking the rod holder bungee cords instead of before, will keep your rods & reels higher off the ground! This is especially useful for the center rod holder, which sits lower to the ground. This technique of loading rods above or below bungee cords also applies well to our new Uni-Mounts and Tri-Mounts. Those are our individual and 3 rod rack mounts that hold all the same rod holders as your Rod-Runner. You can interchange rod holder between mounts and Rod-Runner, and they can be installed almost anywhere and in any direction! More on those mounts in a future post, but the point is when using those mounts, you can also load rods above the locked bungee cords. For example, when loading large offshore rods, you can use this technique to stagger large reels as shown in the following photo. 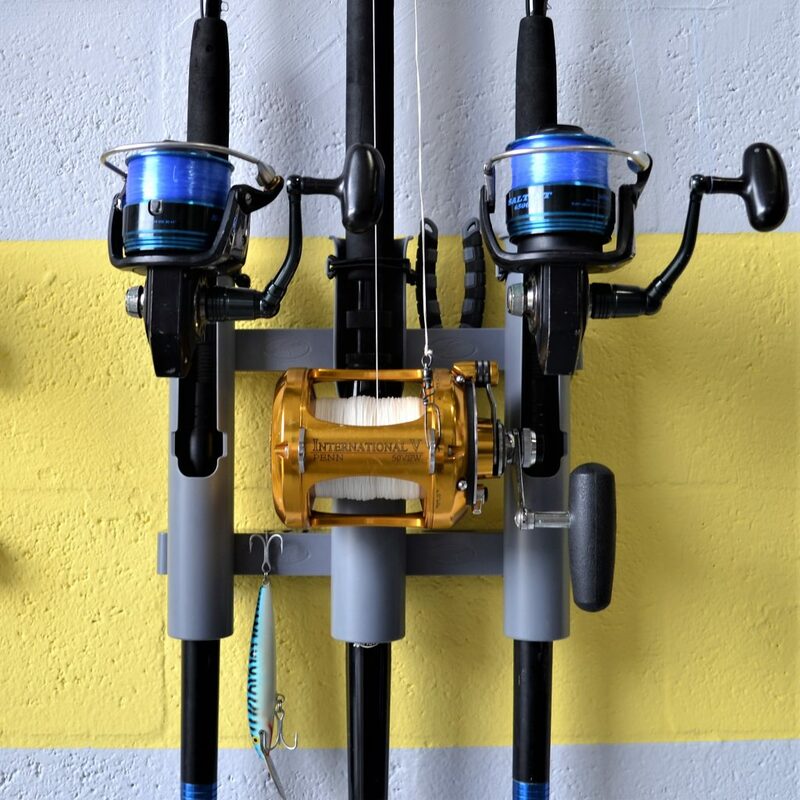 This above the bungee technique will work with nearly all fishing rods and reels, including spinning reels, baitcasters, and large offshore conventional reels. The only exception being fly fishing reels, but we have a great upcoming post on fly fishing with Rod-Runners packed with several fly fishing specific tips. Of course, after you make that last cast, and it’s time to go home, always remember to lock your fishing poles back in below the bungee cords on each rod holder before loading them in any moving vehicles. We’ll repeat, for your safety and the safety of your fishing rods and reels, this technique should never be used in any moving vehicles or vessels. Stay tuned or hit next for Rod-Runner tip #2 that will focus on INCREASED STABILITY ON ROUGH TERRAIN! Another very effective and simple Rod-Runner trick that also requires no extra parts or modification! Try out this Quick Fishing Rod Access trick #1 on your Rod-Runner and let us know what you think? Share any #RodRunner tips, tricks, and modifications you’ve tried with us, and we’ll share them with all Rod-Runner anglers!